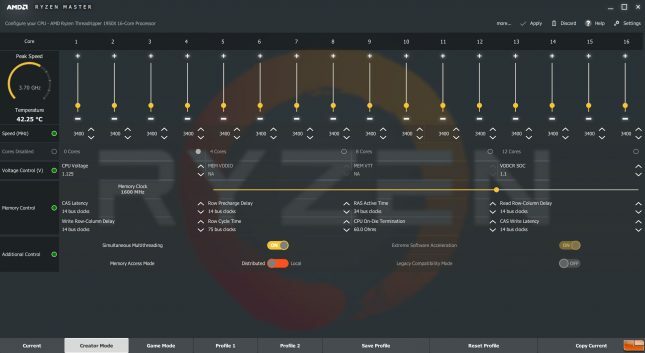 One of the new ‘features’ of the Threadripper chips is that they can be run in either ‘Creator Mode’ or ‘Game Mode’ and that is the controlled by the optional Ryzen Master software. Gaming mode is associated with the NUMA (Non-Uniform Memory Access) setting while Creators mode gets the the UMA (Uniform Memory Access) setting. This is usually something only seen on enterprise class processors, but Threadripper is a descendant of AMD’s EPYC server processors and the company lets you choose between NUMA and UMA to get the best computing experience from Threadripper. 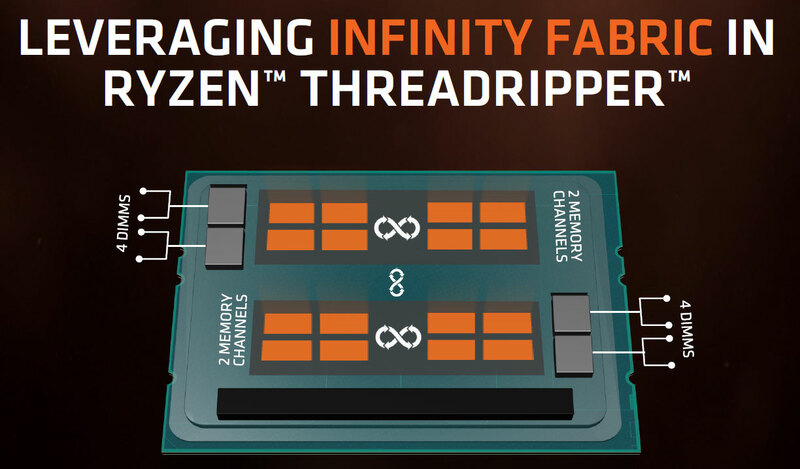 AMD’s Gaming mode compensates to attain lower latency due to the fact that Threadripper has two dies that are internally connected with AMD Infinity Fabric. 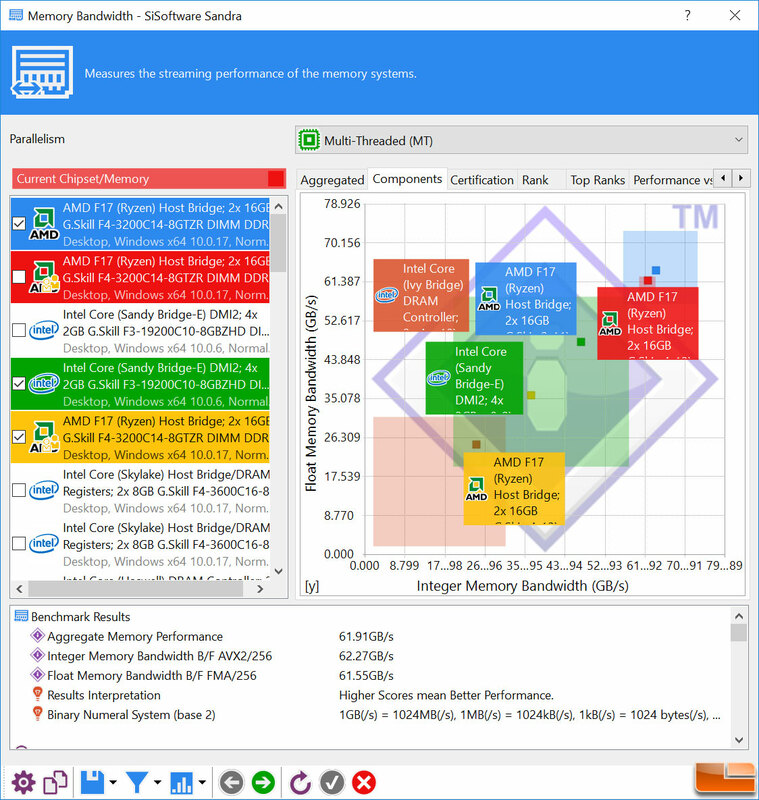 With NUMA the memory access time depends on the memory location relative to the processor. 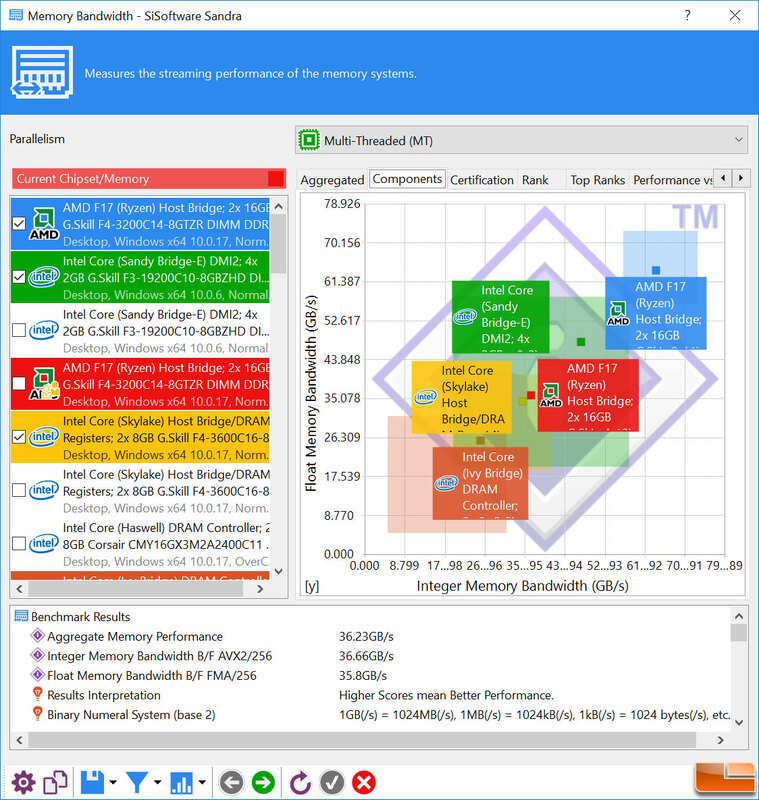 Under NUMA, a processor can access its own local memory faster than non-local memory. Gaming mode also exists to accommodate some legacy games that simply will not run with chips with 12 or more cores. (Dirt 3 for example is a game title that is tricky with this many cores). Gaming mode can dynamically disable half of the cores to allow those titles to run if needed. AMD has tested 100 game titles thus far and is seeing double digit performance games in most titles. To switch between ‘Creator Mode’ and ‘Game Mode’ you will need to restart the system. 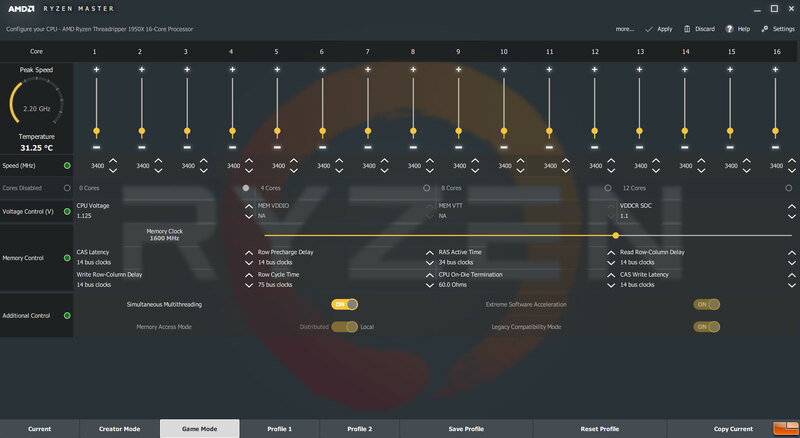 So, if you want to take a break from doing some compute workloads and game for a bit you’ll need to open Ryzen Master, switch to gaming mode, reboot the system and then jump into the game. Not a huge deal, but an extra step you may not have ever needed to do before. 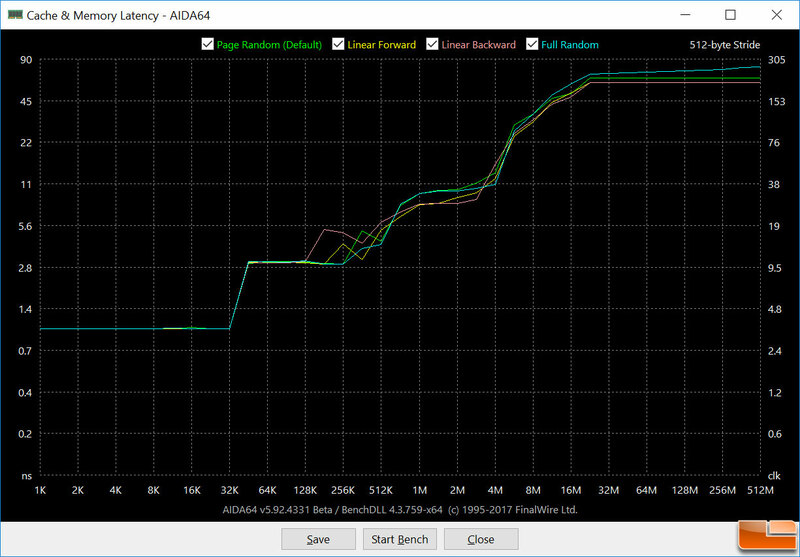 So, just remember this… Distributed Mode (UMA) spreads out transactions evenly across the DRAM for applications that prefers WIDE DRAM access. 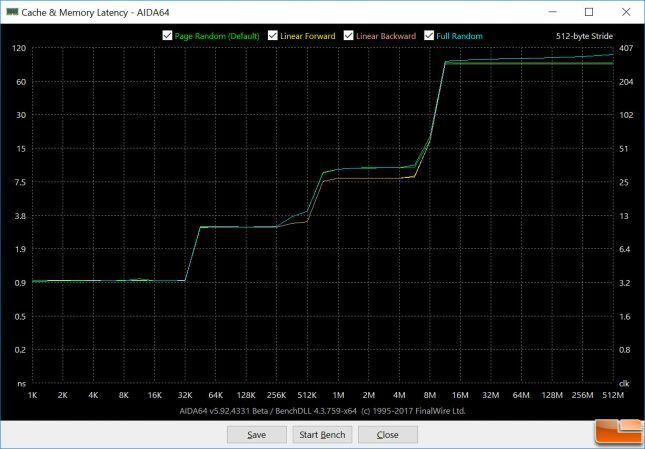 Local Mode (NUMA) does transactions in die-local memory and is for applications that prefers FAST DRAM access. Creator Mode is UMA (Distributed) and Game Mode is NUMA (Local). 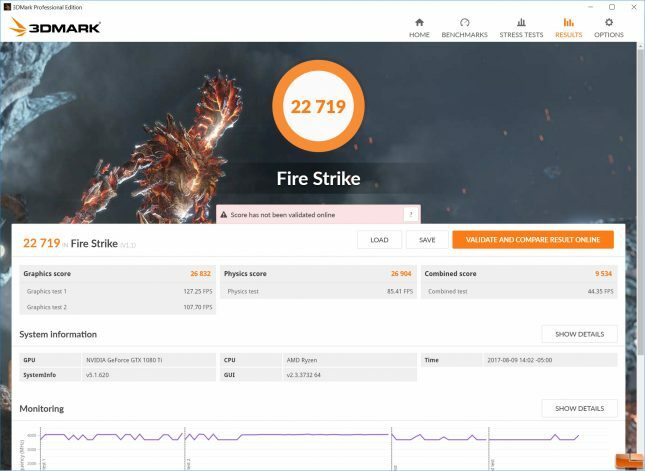 The overall, physics and combined score all dropped in ‘Game Mode’ on the Threadripper 1950X, but notice the actual graphics score went from 26,832 up to 27,486. This means benchmarks that test both GPU and CPU performance will be wonky on Threadripper. Sandra memory bandwidth showed we were getting 36 GB/s of memory bandwidth in ‘Game Mode’ versus 62 GB/s in ‘Creator Mode’. Just a minor difference! Using the AIDA64 cache & memory latency benchmark we can see that Game mode greatly decreases the latency at the higher block sizes and that improvement is what helps in games. For the rest of the benchmarks that you’ll see in this review we used ‘Creator Mode’ for all non-gaming tests and then ‘Game Mode’ for all gaming benchmarks and 3DMark.